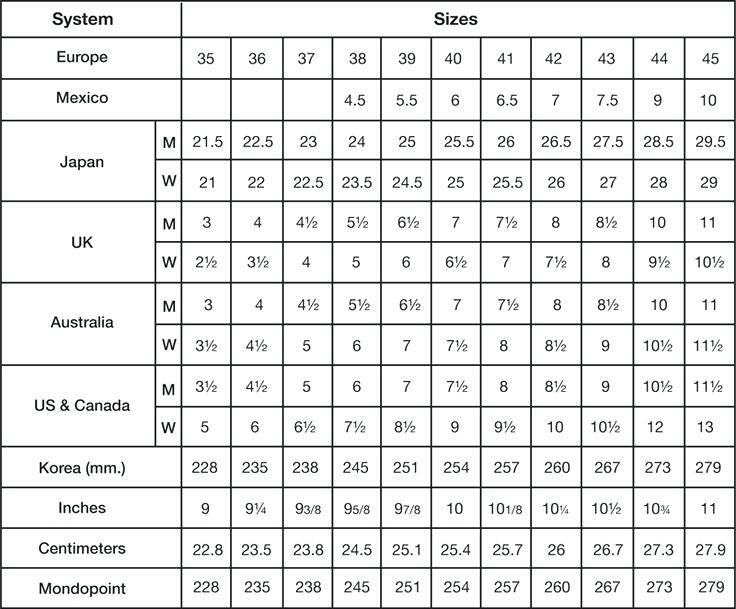 You can use this size conversion chart to find out your respective US, Euro, and UK shoe sizes. However, these are only general measurements. Because each manufacturer uses their own unique shoe lasts to develop their shoes, sizing may vary slightly from brand to brand. To get the most accurate sizing, measure your feet while wearing the socks or stockings you plan to wear with the shoes. Also, measure your feet in the afternoon because feet expand a little as the day wears on and you walk more.